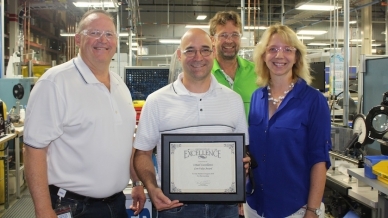 WIKA USA’s Core Value Award recognizes employees who exemplify company core values. 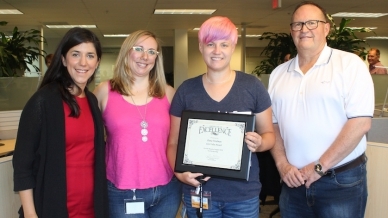 The peer-nominated award is presented monthly to employees who go above and beyond in their roles, all while upholding WIKA’s commitment to integrity, customer satisfaction, partnership, safety, continuous improvement, social responsibility, and excellence. Established when WIKA was founded in 1946, the company core values are the standards by which WIKA measures itself and its employees. Thanks to employees’ commitment to these values, WIKA has become a worldwide leader in industrial measurement technology. The company would not be where it is today without this dedication from within. 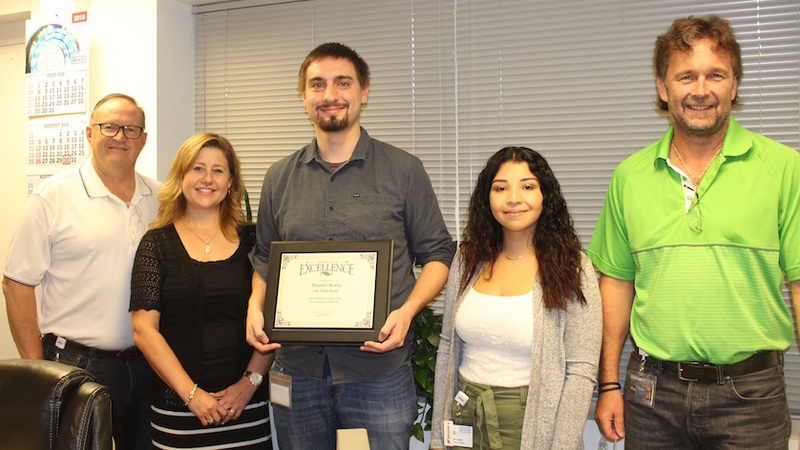 The following WIKA USA employees were chosen for exemplifying a company core value. When faced with a significant obstacle, Moseley found a way to keep a very important customer order on track. “Lex thought of an efficient way to help speed up the process. He went above and beyond to get this order to the customer as soon as possible,” said nominator Daniela Aleman. Wedman’s collaboration abilities contribute to a stronger company. “As I’m sure anyone who’s worked with Dana would agree, she consistently excels in the area of partnership. We worked together to update a brochure, and she was always patient, collaborative, flexible, and responsive,” said nominator Jessica Woodside. Castellanos demonstrated great partnership with his engaging work for a recent customer walkthrough. “Last month, WIKA hosted several groups of Gwinnett County firefighters, paramedics, and EMTs for pre-planning meetings and facility walkthroughs. Ismael gave an excellent presentation… sharing the value and products WIKA provides to help them do their jobs safely. Ismael went above and beyond creating this special presentation,” said nominator Cathy Bochenek. Peer recognition is an outstanding achievement, and every winner and nominee deserves a round of applause for their contributions. Congratulations, August winners!